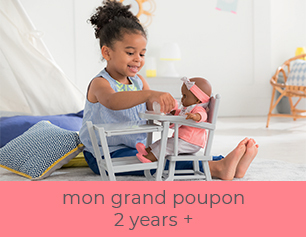 From 18 months, Mon Premier Bébé Calin Charming Pastel is the ideal first doll for little mommies. 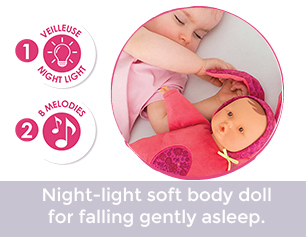 Measuring 12 inches, she's the perfect size to rock or cuddle in your child's arms. She can be posed exactly like a real baby with her soft supple body. Her face, arms and legs are made of touchably soft vinyl.  The doll is delicately vanilla scented, ready to make your child's doll hugs as sweet and memorable as you and your child's. With sleepy eyes, she sleeps when she's laid on her back. Little mommies can give her the pacifier when she's fussy. This baby doll is wearing pyjamas and has a bonnet. 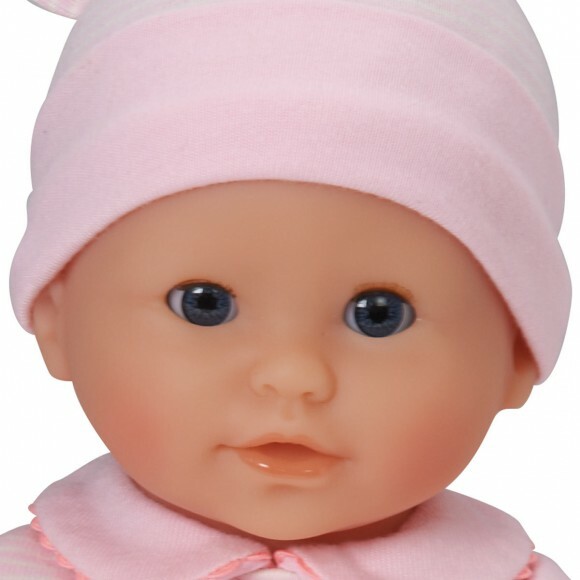 Mon Premier Bebe Calin Charming Pastel is so trendy with the bright pink trim on the collar of her pyjamas. 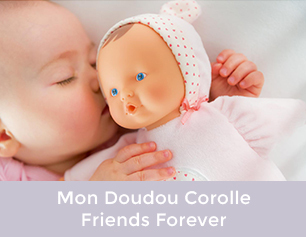 This doll is part of an entire world in Mon Premier Corolle: a complete line of clothing and accessories to imitate mom and imagine storries for endless play. 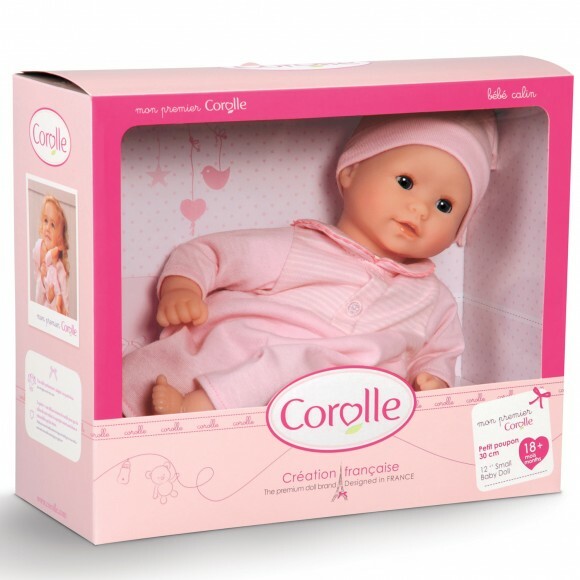 Discover Corolle's My First Carry Bed which is perfect for putting your Charming Pastel doll to bed comfortably.